Menswear is not about inches, it is about 1/8 or a 1/4 of an inch that can make or break the look. Before opening Dash’s, I worked at the “best” mens clothing department store in the country. Their policy was that the tailor who pinned or chalked the garment was the one doing the work on it. I found this to be like communism, by which I mean it sounds good on paper. Here is an example: The most common mistake in mens clothing is for the jacket sleeves to be too long. Since your “better” garments have stitching at the cuff which at least gives the illusion of functional buttons, the sleeves have to be shortened from the armhole. I would recommend to have the customer’s sleeves shortened, and the tailors would get angry with me because alteration requires a lot of work. This is not a job for a seamsperson, but for an actual tailor. 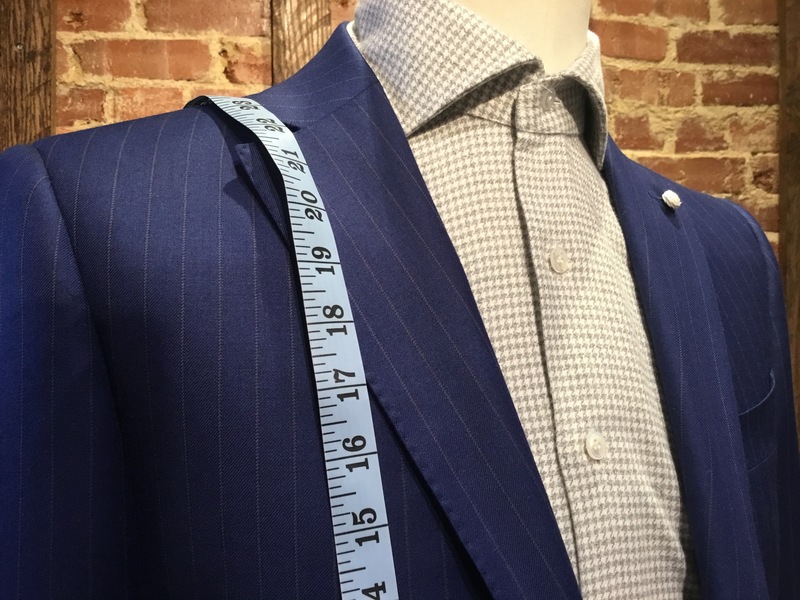 Unlike many of these department stores and “boutiques,” Dash’s will never short change the client when it comes to these important details of sartorial splendor!